Someone in Troy NY a few weekends ago asked me what the key to being a good photo blogger is. I took a moment to think and then smiled at the very truthful and likely unexpected answer that began to form in my head. Some might anticipate the answer to be a good camera. And yes, while a good camera makes for better pictures (if you’re familiar with its capabilities and how to use it correctly! ), it’s still not the most important thing. Others may expect that the key is being able to talk to people. Yes, this is certainly important, but it’s not the most vital, not by a long shot. “Get out of your car,” I answered. There are so many reasons. The big one that most people might understand but may not altogether appreciate is the extent of how insulated we are from the outside world as soon as we close our car doors and lock ourselves in these mobile bubbles. Good photo blogging and everything that comes with the experience is done using ALL the senses. The car negates all of them but sight, and even that is obstructed and for the most part unidirectional… not to mention, once you see something it’s gone in 2 seconds because you’ve driven by it. Seeing a location at the “Street Level” is the only way to truly experience a place… even a place you THINK you know well. Try this. Drive one mile down a busy city street. Now park your car and walk down that same stretch. Smell the air… perhaps there is food being cooked outdoors at a nearby restaurant. The smell can draw you into a place you would have never seen otherwise. How about the sound? Are there honking horns, children laughing, people yelling? How about the sound people talking, plates clanking in an outdoor patio café as people enjoy an evening dinner? Touch. Feel that sidewalk, or maybe even grass as you walk over it. Run your hand over the surface of that metal sculpture outside a local business. Feel the speed of life as people bump into you on the street. See the city, the landscape, the village you’re in. I mean really see it! Spin around and take that 360 degree view in! See the sun as it pours down on you, see the people walking the streets. See that sidestreet business you would never have glanced at if you were in a car. See the obstructed world standing still instead of moving away from you at 35mph. Slow down and view the beauty in front of you. Taste the local fare, stop at a food truck and talk to the owner about what inspired their business, sample a glass of chardonnay at the wine bar you stumble upon… taste a city’s native dish, learn why people love it. If you have read this so far, you’ve likely made the connection that I’m not just talking about photo blogging, I’m talking about everyday life. If you’ve followed my blog trips to Utica, Schenectady and Binghamton (and soon Troy), you will see the same pattern that is occurring all over this country. A population migration back to downtown areas. More people are choosing bikes and public transportation over cars. More people are making the effort to shop local. Contrary to popular belief, this isn’t just a hipster movement, it’s a sustainability movement. Let’s say you commute 15 miles to work. For most in my city of Rochester, this means taking the expressway twice a day at 60-70+ miles per hour, bypassing any kind of local shops, eateries, things to see, places to visit. So many people are out of touch with this city and all it has to offer (and there’s more and more good stuff happening every day!). They just want to get through it and get to where they are going. Imagine if half these drivers biked 5 miles to work instead. They might pass all kinds of local businesses, see new things popping up, pay more attention to signs and local attractions. Suddenly, they stop in a local deli, maybe a gift shop to pick something small up for a loved one. Now they are part of the city, now they have supported a local business that keeps the money in their community. Oh, and if they’re biking, they don’t need to go to the gym so much… they’re getting healthy on their commute. When I travel for photography, be it for my blog or my work, as well as when I’m commuting at home, I always try to get around without a car. It’s just something I believe in for the reasons mentioned above. It’s the right thing to do! With this in mind, I employ a fleet of sustainable and “last mile” personal transportation options. 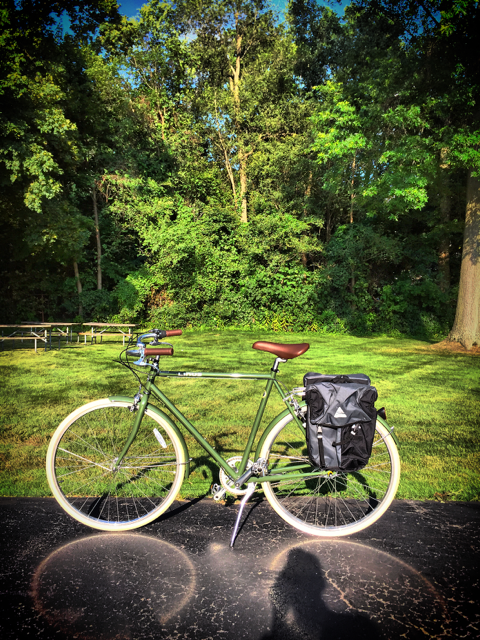 My newly acquired Linus Roadster is great for traveling around my hometown of Rochester. Classic styling and a comfortable ride, this gets me to where I need to go quickly, but with the ability to stop along the way and snap a picture of anything I see! 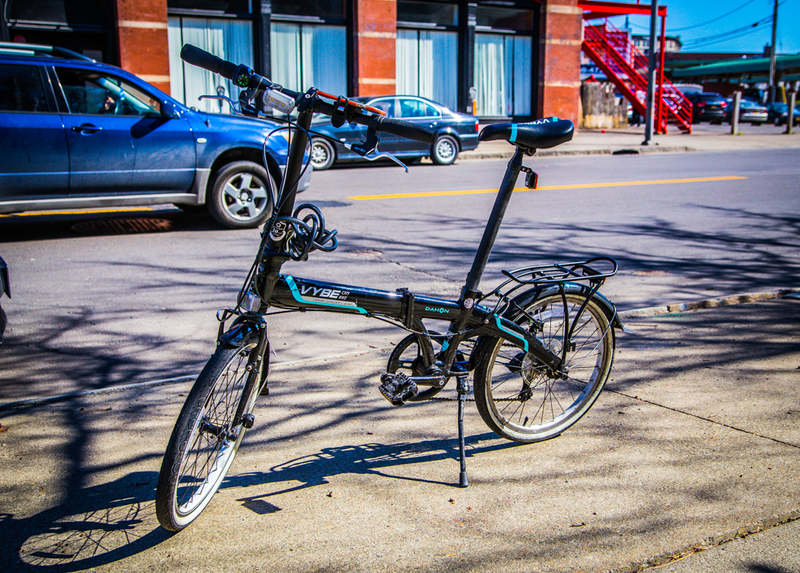 My Dahon Vybe folding bike is one of the best purchases I ever made. Able to fold up and fit in the overhead compartment on an Amtrak train or on the seat next to you on a city bus, this 26-pound bike isn’t quite as fast or as comfortable as my Linus, but it’s certainly more versatile! This bike got me around Greater Binghamton with ease! Yeah, I know, an adult on a kick scooter may not seem like the coolest thing in the world. And it’s not. 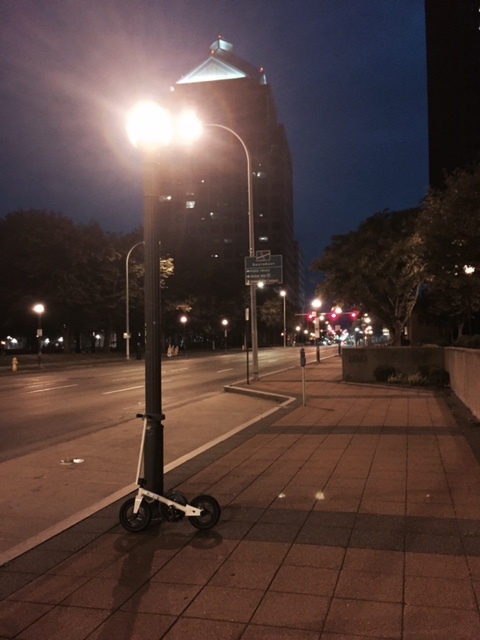 But here’s the truth… my Micro White adult scooter is THE best way to get around a heavily populated urban area. 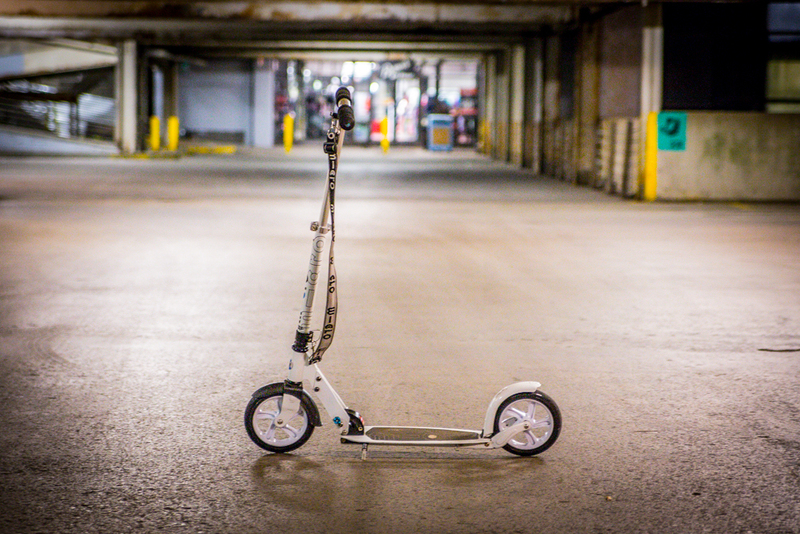 In New York City, these are actually somewhat common… they are small enough that you can sneak through city streets and sidewalks with no issue. As odd as it might sound, the combination of being small and lightweight with a speed that is about 4 times faster than walking makes this a very practical mode of transportation for traveling… you just unfold and go. In March, I traveled 23 miles one evening in Miami on this! Sorry the photo is a bit dark, but this is my Micro Pedalflow. This might be the most versatile member of my “fleet.” Fifteen pounds and folds in seconds, this is the perfect blend of a bike and a scooter. It’s a single speed bike with no seat, making it super small and light, with the ability to reach average trip speeds of about 10 miles per hour. I rode this from Troy to Albany two weekends ago, and while I was a little sweaty at the end (it takes a bit more to pedal) it got me there quickly and reliably. All of these options allow me to go wherever I want, and have legitimate transportation when I arrive. They allow me to stop and talk to people on the street, and see the sights I would have otherwise missed. I can stop and take a quick picture without holding up traffic or parking. And most importantly, it allows me to see and experience everything I pass with all the senses engaged. These personal transportation devices get me where I need to go, and allow me to “feel” my surroundings at the street level. Are these forms of transportation slower? Absolutely. But what we are finding is that while speed might be good for transporting people long distances, it’s not very good at creating vibrant local communities. Taking pride in your town, experiencing a new place, taking great pictures… these take a slower, more exploratory approach rather than a destination driven one. Try it… keep an open mind and bike to work for a week. Or maybe take a couple nights each week after work and walk the streets of your town or city instead of going to the gym. Pop into that shop that you always drove by but never had a chance to peruse… maybe bike there instead of driving. And get yourself a cup of coffee at a local establishment while you’re there. I truly believe taking these small steps to get out of your vehicle and appreciating your surroundings will make you feel better about where you live, as well as who you are. Happy Exploring! I live in a rural area, but biking still helps me connect with my world. I love exploring the constantly changing seasons on my bike!